"Witness the ultimate comeback." Momentum Pictures / eOne has debuted one final official US trailer for the hockey comedy sequel Goon: Last of the Enforcers, which is now scheduled for a release in the US starting in September (it already opened in Canada in March). Seann William Scott returns as Doug Glatt from Goon, the hockey player who just loves to fight, picking up where the story left off. He plans to retire from hockey (and fighting) but ends up back on the ice again, being trained for left-handed fighting by none other than Ross Rhea himself - Liev Schreiber. The full cast includes Elisha Cuthbert, Liev Schreiber, Alison Pill, T.J. Miller, Wyatt Russell, Marc-André Grondin, Jason Jones, Kim Coates. We have already seen plenty of trailers for this, but I'm still looking forward to seeing it sometime this year. Dive in. 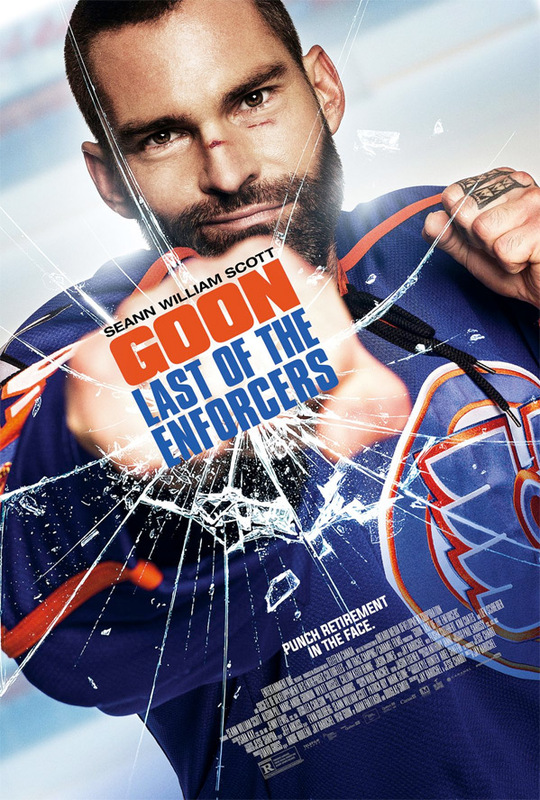 You can still watch the first official trailer for Goon: Last of the Enforcers here, or the second / third trailer. After one too many concussions, hockey enforcer Doug Glatt (Seann William Scott) is forced to give up his aspirations of going to the big show and settle into a buttoned down career as an insurance salesman at the urging of his pregnant wife (Alison Pill). However, Doug can’t resist the siren call of the Highlanders, so he sets course to reclaim his former glory. Goon: Last of the Enforcers is directed by actor-turned-filmmaker Jay Baruchel, making his feature directorial debut. The screenplay is by Jay Baruchel (who also wrote the original Goon script) and Jesse Chabot. The film already opened in Canada in March. Momentum will release Goon: Last of the Enforcers in select US theaters + on VOD starting September 1st. Who's in?